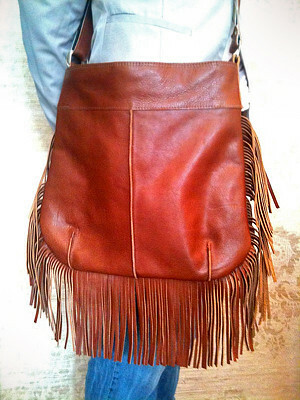 A bag that gives you a bohemian look instantly. Sturdy camel leather shopper with bronze straps. Lining with dark purple shiny fabric, and flowery pattern leather with zipper. 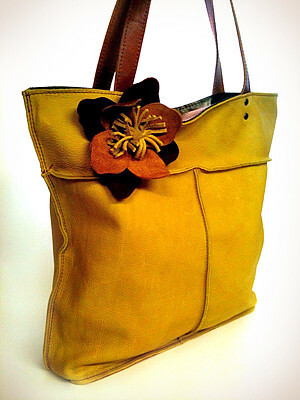 Made by Dede creates special and unique leather bags. They are individually designed and made with care. No bags are ever the same.